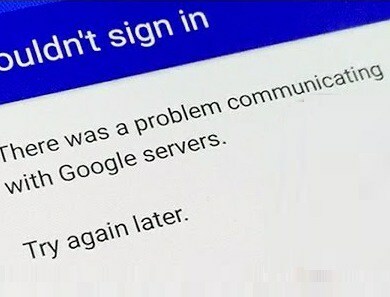 This Error There Was a Problem Communicating with Google Servers occurs especially when you are trying to use your Google App or any application related to Google. Now, this can be fixed easily and bypassed each time it occurs. There are many solutions t fix the error but it differs from different devices. Below, I have listed all possible fixes for the Fix "There Was a Problem Communicating with Google Servers" error message 2019. So kindly try them below to know the possible one that will work for your Android Smartphone. When these problems occur, you won't be able to sign in to google account on Android, so, try this method. 1. Remove any already signed in Google Account. 2. Head to Phone Settings and Clear Cache Data for All Google Related Apps. 3. Now head back to Settings > Account and sign in again. 1. Head to Phone settings > Security < and Tick Unknown Sources. 2. Download any latest version of Google Play Services Online and Install. 3. Now sign in to any Google account and you can now use the app without the error popping up. 1. Head to Settings on Android and remove your Google account. 5. Replace localhost with: 127.0.0.1 localhost. 7. Now sign back into your Google account. You will be able to use the application without any problems. These are some ways to Fix There Was a Problem Communicating with Google Servers" 2019. Kindly comment below for questions and come back for more!